How to upload videos from iPhone to Box? Box Inc. (formerly Box.net) is a cloud storage service & secure content sharing website which allows you to backup photos, videos & files to access them from anywhere in the world. Box has the ability to create new folders and upload photos and videos to your Box account directly from your iPhone. Box offers 10GB of free storage space. Those who need a larger storage space can upgrade to various available paid plans. Their plans start from 100GB for $5/user/month with 2GB file upload size limit and customized unlimited plan for $35/user/month with 5GB file upload size limit. Uploading videos from your iPhone to your Box account is very easy. In just few clicks you can easily save & backup videos to Box. Go to https://www.box.com/ & sign in to your account. If you don’t have an account, then create one. If you have ‘Box app’ installed on your iPhone, launch it. Or else download it from the Apple App store. Tap “Box app” on your iPhone. Tap “All Files” located at bottom of the screen. Tap “+” icon from the action menu located at the bottom of the screen. Tap “Choose from library” option to upload the videos. Grant access to your photos & videos (To upload your photos & videos, Box will require access to your Media library). Tap “Ok” button. You will see “Camera Roll”, select the videos that you wish to upload. Tap “Upload” button to upload the selected videos to Box. All your videos now will be uploaded to Box. How to Upload DVD, Blu-ray, ISO, H.265, SD/HD/4K video files to Box? Almost all movies are encrypted with CSS copy protection. Decryption keys are stored in the normally inaccessible lead-in area of the disc. You’ll usually get an error if you try to copy the contents of an encrypted DVD to Cloud Storage devices – Box. However, if you have used a software player to play the movie it will have authenticated the disc in the drive, allowing you to copy without error, but the encryption keys will not be copied. If you try to play the copied VOB files, the decoder will request the keys from the DVD-ROM drive and will fail. You may get the message “Cannot play copy-protected files”. Now that it doesn’t work to directly copy DVDs to Box. To turn a real-world DVD into a digital file that you can stream to the viewing platform of your choice, you have to rip it from the disc. As with ripping DVDs, you’ll copy the contents of a DVD to a Cloud-friendly format. In order for this to work, obviously, you must have access to a PC with a DVD drive. In addition to DVD and Blu-ray, some complicated formats and new codecs are not supported by Box. 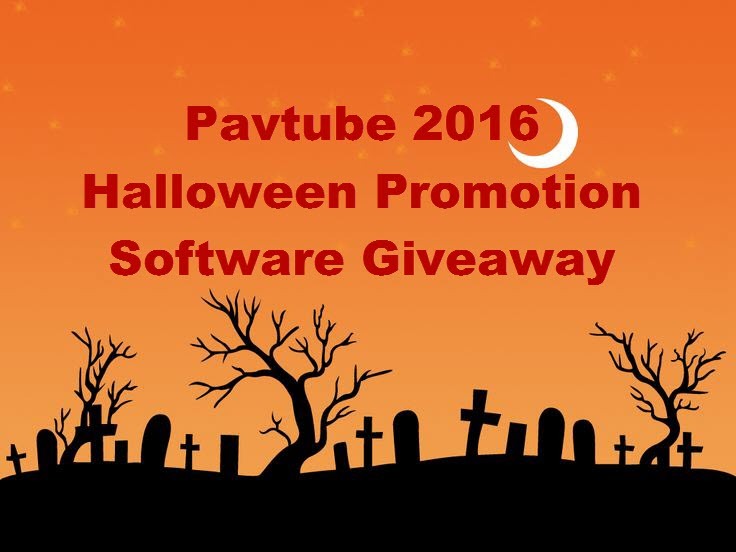 So in order to make you upload all video files to Box, you can use Pavtube Video Converter Ultimate （ Mac） to convert your DVD, Blu-ray, ISO, SD/HD/4K MP4, MKV, H.265 etc to Box more friendly H.264 MP4 format for smooth uploading. This powerful video converter for cloud storage also can convert all videos and movies to iCloud, Dropbox, Google Drive, Amazon Cloud Drive, Sky Drive, Microsoft OneDrive etc formats for uploading without any problems. How can I cast unsupported files from WD MyCloud to Chromecast? This is a question rom a reddit forum. Also want to cast unsupported files from WD MyCloud to Chromecast? Or Stream unsupported files from other places to Chromecast? Next we will have a talk with this topic. Many people like to store their videos including various formats like AVI, 3GP, FLV, MP4 etc to WD MyCloud for convenience. And some people would like to cast files from WD MyCloud to Chromecast, but how to cast unsupported files from WD MyCloud to Chromecast? The smart way is converting the unsupported files from WD MyCloud to Chromecast supported formats for smooth streaming. Maybe you will ask how to convert? Any professional video converter for Chromecast? How to Convert unsupported files from WD MyCloud to Chromecast? Step 1. Click “Add video” button to add your WD MyCloud video files to the program. 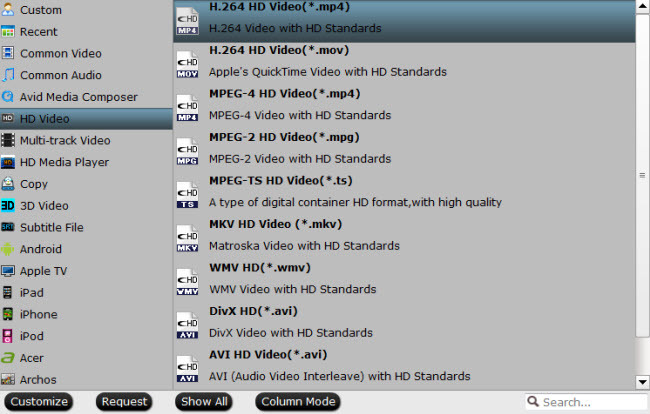 Or directly drag the WD MyCloud video you want to convert to the left item bar. Step 2. Set right output format. Click “Format” bar, and select .mp4 from “Common video” or “HD video” to fit Chromecast. Step 3. Click the “Start conversion” button on the main interface and the software will start to convert videos to Chromecast friendly video formats immediately. When the conversion finishes, click “Open” to find the converted video files. Then you can effortless transfer the video files to Chromecast for playback on HD TV. Tips: If you want to upload DVD, Blu-ray, ISO, H.265, any SD/HD/4K videos to WD MyCloud, you can also use Pavtube Video Converter Ultimate to help you by converting them to WD MyCloud more friendly MP4 or AVI for smooth uploading and storing. The Chromecast has been a big success for Google: cheap, simple to use and a no-nonsense way of getting all your favourite content from your smartphone up on a big screen of your choice. The first one launched in July 2013 with its successor appearing in September 2015. If you’ve got your hands on one of these second-generation Chromecasts (with the flexible HDMI cable and circular body) then we’re here to tell you how to get the best out of it: from turning on your TV automatically to changing the backdrop and everything in between. If you’ve got a smartphone or tablet running Android 4.4.2 or later then you can cast the entire display over to your TV: install the official Chromecast app, then choose Cast screen/audio from the app’s menu. Choose your Chromecast from the list and you’re away. It’s a handy way of beaming content to a bigger screen from apps that don’t support casting natively (though the lag is perhaps a little too much to play any intense games). What’s more, the mirrored screen adapts to show portrait or landscape orientation as required. Don’t keep your Chromecast all to yourself: by turning on the straightforward guest mode you can give your pals the opportunity to beam content over to the dongle without having to faff around with Wi-Fi passwords or any other complicated setup procedures. From inside the Chromecast app on Android or iOS, tap the menu button (three dots) on the Chromecast in question and choose Guest Mode. A PIN is displayed to allow guests to connect – but for now they must be using Android devices for the feature to work. Google likes to throw some attractive deals towards Chromecast users, which you can find from the Offers entry in the app menu: at the time of writing we can see offers for Now TV, Google Play Music and Spotify Premium, but they change around on a regular basis. These offers aren’t just for new Chromecast owners but they do usually have an expiry date – make sure you check in on the deals page inside the app every now and again to make sure you’re not missing out on anything of note that Google has decided to give away. Thanks to a protocol known as HDMI-CEC (or High Definition Multimedia Interface Consumer Electronics Control) you can have your Chromecast automatically wake up your television set whenever you start beaming some video or other content over to it. How this works depends on your TV set, so dig the manual out (or just browse through the menus): make sure it’s HDMI-CEC compatible (most new-ish sets are, though a different term is sometimes used) and make sure the feature is enabled in the TV settings. The Chromecast works like a charm over Wi-Fi, but there may be rooms in your house where the wireless signal is a little patchy – and constant buffering can really get in the way of you enjoying a good old Netflix binge. Fortunately, there is an official solution. Google now sells a Chromecast Ethernet adapter (£15), so if you can get an Ethernet cable to the room in question then you can enjoy a rock-solid web connection for your apps. The adapter sold by Google works with both the original and the newer Chromecast models. Streaming video or music from the web is all well and good, but what happens when you want to watch something stored on your computer’s hard drive? There are a number of apps that will work as the middleman between your media library and the HDMI dongle. Perhaps the best option is Plex, though there are other alternatives such as LocalCast and AllCast. These apps all work in a similar way: a desktop client serves up the content from your computer hard drive, and a smartphone app sends it to a connected Chromecast. The default screensaver that appears when the Chromecast isn’t being used displays a collection of eye-catching pictures pulled from various places on the web – if you open up the Chromecast app you can find out more about the image currently on screen. To add your own images, tap Edit Backdrop from the Devices tab in the Chromecast app, then make your choices. Your Chromecast can pull in pictures from Google Photos, Facebook, Flickr, and various other sources, and the slideshow speed can be adjusted too. How to Upload videos from phone to DropBox? Over the last few days, I’ve been trying to gather more information on Microsoft’s Cloud that they keep bringing up in discussions over the Xbox One. “Cloud Cloud Cloud – Power of the Cloud Rawrrrrr”. The gaming community has poked fun and I’ve heard many people say that the cloud is nothing but a buzzword and a PR gimmick. If Sony and Microsoft both have cloud technology – why is Microsoft making such a big deal about theirs? Since at least 2009, Microsoft has been pouring billions of dollars into building their cloud infrastructure. They’ve been throwing up data centers up left and right and taking aim at Amazon who currently is #1 as far as cloud providers. Just in the year 2011 – Microsoft spent $8.6 Billion in research and development on the cloud. And they aren’t planning on slowing down anytime soon. Earlier this month, Microsoft reported that they will be opening 25 new data centers in 2013 in multiple locations around the globe. They also just announced coverage for Japan, China, and Austraila. And a few hours ago, they announced a $700 million investment into their datacenter in Iowa to increase their ability with the cloud. Why does this matter to gamer’s? Because Xbox Live will be running from Microsoft’s Azure Cloud platform. And it will also be powering the games. Perhaps most intriguing, however, is that Xbox One gives game developers the ability to access Microsoft’s Azure cloud computing platform. That leads to a few obvious and immediate applications; stable, dedicated servers for every multiplayer game rather than the notoriously fragile practice of hosting matches on one participant’s console. Does this mean that every single game will features dedicated servers?? REALLY?? So I reached out to the author of the Wired article, Peter Rubin and asked him how this would work. Do developers have to rent out the servers? Do they just have access to them etc. Here is his reply. Okay, so player-hosted servers have a lot of downsides. So why do so many games use them? They have one really big upside – it doesn’t cost money to run the servers! Running hundreds of thousands of servers can be extremely expensive. EXTREMELY expensive. Like “oh my god we can’t afford that” expensive. So your player experience gets compromised to save (large amounts of) money. But it costs a LOT of money. This is something I have worked on for years now, since coming to Respawn. A developer like Respawn doesn’t have the kind of weight to get a huge price cut from places like Amazon or Rackspace. And we don’t have the manpower to manage literally hundreds-of-thousands of servers ourselves. We want to focus on making awesome games, not on becoming giant worldwide server hosting providers. The more time I can spend on making our actual game better, the more our players benefit. I personally talked to both Microsoft and Sony and explained that we need to find a way to have potentially hundreds-of-thousands of dedicated servers at a price point that you can’t get right now. Microsoft realized that player-hosted servers are actually holding back online gaming and that this is something that they could help solve, and ran full-speed with this idea. The Xbox group came back to us with a way for us to run all of these Titanfall dedicated servers and that lets us push games with more server CPU and higher bandwidth, which lets us have a bigger world, more physics, lots of AI, and potentially a lot more than that! Amazon has a cloud that powers websites. Sony has a cloud that streams game video so you can play a game that you don’t have on your machine. Now Xbox Live has a cloud that somehow powers games. Cloud doesn’t seem to actually mean anything anymore, or it has so many meanings that it’s useless as a marketing word. Let me explain this simply: when companies talk about their cloud, all they are saying is that they have a huge amount of servers ready to run whatever you need them to run. That’s all. So what is this Xbox Live Cloud stuff then? Microsoft has a cloud service called Azure (it’s a real thing – you can go on their website right now and pay for servers and use them to run whatever you want). Microsoft realized that they could use that technology to solve our problem. So they built this powerful system to let us create all sorts of tasks that they will run for us, and it can scale up and down automatically as players come and go. We can upload new programs for them to run and they handle the deployment for us. And they’ll host our game servers for other platforms, too! Titanfall uses the Xbox Live Cloud to run dedicated servers for PC, Xbox One, and Xbox 360. But it’s not just for dedicated servers – Microsoft thought about our problem in a bigger way. Developers aren’t going to just want dedicated servers – they’ll have all kinds of features that need a server to do some kind of work to make games better. Look at Forza 5, which studies your driving style in order to create custom AI that behaves like you do. That’s totally different from what Titanfall uses it for, and it’s really cool! So it’s not accurate to say that the Xbox Live Cloud is simply a system for running dedicated servers – it can do a lot more than that. How is this different from other dedicated servers? With the Xbox Live Cloud, we don’t have to worry about estimating how many servers we’ll need on launch day. We don’t have to find ISPs all over the globe and rent servers from each one. We don’t have to maintain the servers or copy new builds to every server. That lets us focus on things that make our game more fun. And best yet, Microsoft has datacenters all over the world, so everyone playing our game should have a consistent, low latency connection to their local datacenter. Most importantly to us, Microsoft priced it so that it’s far more affordable than other hosting options – their goal here is to get more awesome games, not to nickel-and-dime developers. So because of this, dedicated servers are much more of a realistic option for developers who don’t want to make compromises on their player experience, and it opens up a lot more things that we can do in an online game. This is a really big deal, and it can make online games better. This is something that we are really excited about. The Xbox Live Cloud lets us to do things in Titanfall that no player-hosted multiplayer game can do. That has allowed us to push the boundaries in online multiplayer and that’s awesome. We want to try new ideas and let the player do things they’ve never been able to do before! Over time, I expect that we’ll be using these servers to do a lot more than just dedicated servers. This is something that’s going to let us drive all sorts of new ideas in online games for years to come. If Microsoft’s Cloud is nothing more than a PR Gimmick. Then it has to be one of the largest gimmicks in recorded history. Adding up to a total that goes well beyond $10 Billion so far. It sounds as if this could actually be a system that could provide a lot of flexibility for the future of the Xbox One. And if dedicated servers are available to all developers. That is probably going to be a nice selling point for both game developers and players. And Developers are already talking about the power of the cloud. One of the year’s most anticipated titles, Ubisoft’s Watch Dogs, the developer just told NowGamer that the Xbox One city will be more dynamic than any other version of the game. If you have recorded some videos by camera or downloaded movies from websites, you can upload them to Xbox One Cloud and PS4 Cloud. But DVD, Blu-ray, and some complicated formats codecs and 4K resolution videos are not supported by Xbox One Cloud and PS4 Cloud. So you can use Pavtube Video Converter Ultimate （ Mac） to convert your incompatible videos to Xbox One Cloud and PS4 Cloud compatible formats qucikly. Besides, it also can convert DVD, Blu-ray, ISO, SD/HD/4K videos to other cloud storages like iCloud, DropBox, Amazon Cloud Drive, OneDrive etc. How to Upload videos from iPhone/iPad/Android phone to DropBox? Can’t Play videos on Microsoft OneDrive? How to Upload DVD to Skydrive quickly? Part 1. How to backup iPhone videos to DropBox? There are different ways to backup videos to Dropbox. The Dropbox mobile app makes it easy to backup your iPhone videos. Once videos are uploaded, they will sync with Dropbox on your computer and all your other devices. 1. Download the Dropbox app first and create an account if you don’t already have one. 3. In the Dropbox app, go to Settings > Camera Upload > On. 4. Select whether you want Dropbox to only upload videos & photos while on Wi-Fi (recommended) or while or Wi-Fi+cellular (not recommended if you have a capped data plan). 5. Tap ‘Enable’. Dropbox will ask permission to access your videos & photos. Say ‘OK’. The app will then start uploading all your Videos & photos to DropBox cloud storage. 6. It also allows you to manually upload one by one instead of uploading all at once. 7. So, if you wish to upload just some videos, manually select them and click ‘Upload’. Part 2. How to upload videos from Android phone to DropBox? DropBox is the premier photo backup, sync and sharing service provided by DropBox Inc. DropBox offers 2GB of free storage space, which is pretty useful for storing photos, videos and documents. You can upgrade your free 2GB account to a paid monthly subscription plan for more storage space. DropBox offers 100GB space for $9.99/month and 500GB space for $49.99/month. 1. Go to https://www.dropbox.com/ & sign in to your account. If you don’t have an account, then create one. 2. If you have ‘DropBox app’ installed on your Android phone, launch it. Or else download it from the App store. 3. Tap “DropBox app” on your Android phone. 4. Tap “Photos or videos” button from the menu. 5. Select the videos that you want to upload from photo and video gallery. 6. Tap “Upload” button to upload the selected videos to DropBox. 1. Go to your phone “Gallery” and select video(s) that you wish to upload. 2. Once selected, click share button and you will see a set of options to upload videos. 3. From the options, tap “DropBox” icon. Your video upload process will start. 4. The time taken to upload videos depends on your internet connection speed & the amount of videos you upload. 5. All your videos will now be uploaded to DropBox. Part 3. How to Upload Files From Your iPad on Dropbox? While Dropbox is a convenient application that lets you access your files from any device or computer that has Internet access, the iPad version of the Dropbox app doesn’t include the ability to automatically share your photos, videos and other files to your Dropbox account from the “Share” menu. However, you can upload files from your iPad in one of two ways: you can upload them manually to your Dropbox folders or enable automatic uploads from your iPad’s camera. Step 1. Launch the Dropbox app on your iPad, and sign in to your Dropbox account if prompted. Step 2. Navigate to the folder on your Dropbox account to which you’d like to upload a file. If you’d like to create a new folder for your files, tap the plus sign at the top of the left column and then tap “Create Folder.” Enter the name of the folder, and tap the “Create” button to create your new folder. Step 3. Tap the plus sign at the top of the left column, and then tap the “Upload Here” button. Step 4. Tap all of the files you’d like to upload to your Dropbox, as you can upload multiple files at once. A blue check appears in the upper right corner of the files you’ve selected. Step 5. Tap the “Upload” button to upload the files to your Dropbox folder. Step 1. Launch Dropbox on your iPad, and log in to your Dropbox account if prompted. Step 2. Tap the gear in the lower right corner of the left column to visit your Dropbox settings. Step 3. Tap the “Camera Upload” tab, and then switch the button from “Off” to “On.” Your photos and videos automatically upload to Dropbox from your iPad’s storage. Sometimes you can’t upload the videos from iPhone/iPad/Android phone to DropBox due to the complicated formats and codecs. In order to make you have no troubles in uploading iPhone/iPad/Android phone to DropBox, you can use Pavtube Video Converter Ultimate （ Mac）to help you convert iPhone/iPad/Android phone videos to DropBox friendly formats for smooth uploading. Besides, it also has the ability to convert DVD, Blu-ray, ISO, H.265 etc to DropBox formats with super fast speed. NAS, or network attached storage, is primarily used as a way of keeping files secure in a personal Cloud – but if you want to add an extra layer of security to the proceedings, then some online backup providers let you upload data from a network storage device as well as from your PC. Others also allow you to sync files between your NAS and Cloud storage providers such as Dropbox, Google Drive, and Box – so that your updates stay consistent across platforms. For the uninitiated, we’ve come up with a handy guide to getting started with NAS – or keep reading for our rundown of the 5 best NAS backups for 2016. The list below is primarily concerned with backup providers that have native apps for devices by NAS giants QNAP, Synology and Netgear, but if you’re more interested in the DIY approach, scroll down to find out which other services let you run NAS backups in different ways. ElephantDrive makes it to the top of the list because, simply, it’s all about NAS. As well as offering a standard range of backup services including sync and share options, automatic backups, and archiving, ElephantDrive has successfully cornered the market in NAS backups. As a result, you’ll find native ElephantDrive apps available from not just QNAP, Netgear, and Synology, but also Western Digital, Drobo, D-Link Vault, Thecus, and Seagate – and extensive support on offer for all of them. This makes ElephantDrive one of the most easy-to-use providers when it comes to NAS backups, as it’s pretty much all done for you and there are plenty of experts on hand to help you out with any problems. It’s also compatible with many devices suitable for personal (rather than business) users, so is a great choice if you just want to keep your files extra safe at home. ElephantDrive offers six different subscriptions, starting at $7 per month for 100GB of storage, and there’s a free trial available too if you’d like to start by taking it for a spin. As well as being one of our favourite all-round backup services, IDrive is also pretty good for NAS users. Amongst its long list of features, it counts not just the ability to backup from mapped drives, but also apps for Synology, QNAP and Netgear ReadyNAS. IDrive’s new and improved customer support system is also on hand to help out with any NAS-related issues, and there are some introductory guides in their FAQ to help you get set up. With IDrive, 1TB of online storage space comes at a generous $3.71 per month (paid in a yearly lump sum) – although be warned that this will increase to $4.95 per month once you reach your second year. You’ll also get flexible backup and restore options for your money, as well as sync and share features, and the ability to backup from an unlimited number of devices. There’s even a 5GB free account can give you a taste of what’s on offer. Dropbox works in a slightly different way to the backup providers discussed so far. That’s because, rather than being a traditional online backup service that focuses on storing your data for retrieval in emergencies, it’s a Cloud storage provider, so much more concerned with file sharing and remote access. So how does this work with NAS? Rather than backing up files from network storage devices like IDrive and ElephantDrive, Dropbox comes as part of more general Cloud Sync applications that allow you to sync the files saved on your NAS with multiple Cloud storage services. In this respect, you end up with something like a Cloud storage manager – a centralised service that keeps all of your files organised and up to date. One for the more adventurous amongst you! CrashPlan is an excellent backup service, offering unlimited storage space and top-notch security for a very reasonable price. While most of the software is pleasantly easy to use, however, its NAS options are a bit of a mixed bag. QNAP users have it easiest, with a dedicated app on offer that’s simple to download and run, and Mac and Linux users shouldn’t encounter too many problems either, as they can easily process backups from mounted drives. Surprisingly, it’s Windows users that really suffer, as a limitation built into the Windows OS means that CrashPlan isn’t able to support backups from mounted drives. However, they do offer a useful list of unofficial mounting methods for anyone willing to put in the time and effort – and as one of the best and most affordable backup services around, we think that it’s time well spent. With both a Synology app and the option to store files from mounted drives, HiDrive is a solid choice for NAS backups, although their software can be a little confusing in places. Luckily, a great forum full of guides and troubleshooting suggestions should help you to overcome any hurdles along the way, and you’ll get some great extra features for your money too. HiDrive is likely to appeal most to users without very large quantities of files to backup online, as storage space is fairly limited, with 100GB available for $6.30 per month, and 500GB for $13.60. However, if you’re just looking to keep your data extra secure, then it’s a great choice, with other benefits including built-in FTP access, an image sharing gallery, and email uploads. NAS is a very popular storage solution for small businesses as well as home users, so you’ll find QNAP, Synology and Netgear offering plenty of apps for NAS backups from more heavy-duty storage providers too. Microsoft Azure, Amazon Glacier, Google Cloud Storage, and Symform all work with NAS providers – making it easier for organisations to keep their data as safe as possible both locally and online. If you’re more interested in creating your own NAS than shelling out for a pre-made box, then you won’t have access to apps – but there are still plenty of ways to store your data online. Providers including SOS, Acronis, MyPCBackup, JustCloud, BackupGenie, and ZipCloud all let you backup from a NAS device simply by selecting it as a file location, although all members of the MyPCBackup canon (aka. MyPCBackup, JustCloud, BackupGenie and ZipCloud) will charge you $99.95 per year for the privilege. In addition to this, you can also run backups of network drives using SpiderOak, Memopal, and LiveDrive – all of which require you to map the drive before it can be recognised. Fortunately, this is a simple process, and our walkthrough guide can help you get set up in just a matter of minutes! NAS backups are a great way of keeping your network’s data safe not just in a personal cloud, but also online. Whether you’d like a simple app, or want to try your hand at setting up a NAS and backing it up solo, there’s an online backup provider out there for you – and our list should give you an excellent place to start! You can store your movies to various NAS for playing via TV, portable device etc. But not all movies are imported onto NAS like DVD, Blu-ray, ISO, and some complicated formats. So if you want to have no problems in storing movies to NAS, you can choose one professional video converter – Pavtube Video Converter Ultimate （ Mac）。 With it, you can convert any SD/HD/4K movies and DVD/Blu-ray/ISO to NAS supported formats on your computer for your smooth streaming. Besides, it also provide output format for various device like iPhone, iPad, Apple TV,Samsung/LG/Sony/Panasonic TV, PS3, PS4, Xbox 360, Xbox One and some NLEs including FCP, iMovie, Premiere Pro, Windows Movie Maker, Sony Movie Studio 13, etc. Have more questions about Dropbox vs Google Drive, please feel free to contact us>> or leave a message at Facebook .